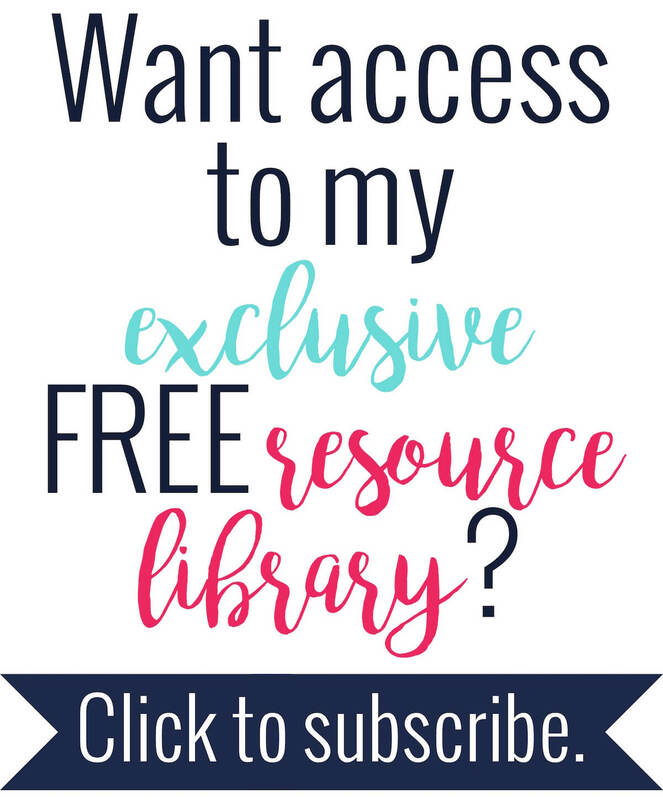 Last time, I shared some cool videos for teaching slope. 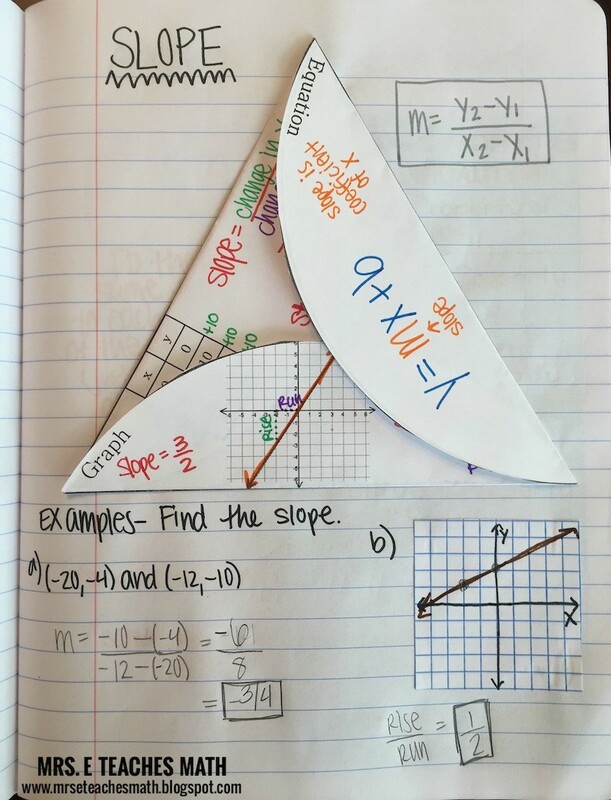 Today, I’m following that up with a slope foldable that I found that I love! I found this foldable on Teachers pay Teachers by Bovio Math Creations. I chose to print it in black and white because I don’t have a color printer and I like writing in marker. So, here is the interactive notebook page page that I created with the foldable. The foldable has flaps that say “Equation”, “Graph”, and “Table”. I color-coded the information in marker. I also wrote the slope formula in the upper right hand corner. 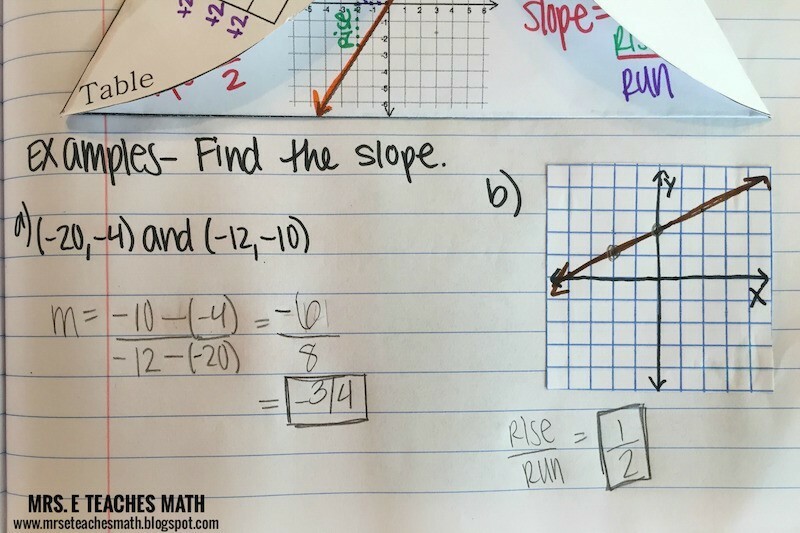 While I think that it’s most important for students to understand the concept of slope, I also think it is important for students to be able to recognize and use the slope formula. When the foldable is open, there is a visual for the direction of each of the types of slope. This would be a great opportunity during the lesson to show a short video. 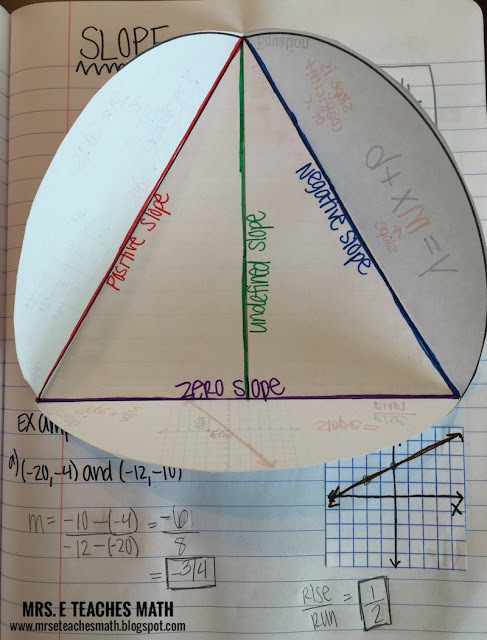 I would probably show the slope dude video while the students were color-coding the types of slope. At the bottom of the page, I came up with two examples for students to work on at the end of class. In the first example, students must find the slope given two points. In the second example, I cut a small square of graph paper and drew a line. Students could draw any type of line they wish. Then, they find the slope of the line given the graph. I hope this gives you some ideas for a lesson about slope!